We looked at the top 1 Hand Blenders and dug through the reviews from 7 of the most popular review sites including Top Ten Reviews, Consumer Reports, New York Times Wirecutter, Best Reviews Guide, Blender Reviews, Immersion Masters, Prime Shop Kitchen and more. Through this analysis, we've determined the best Hand Blender you should buy. 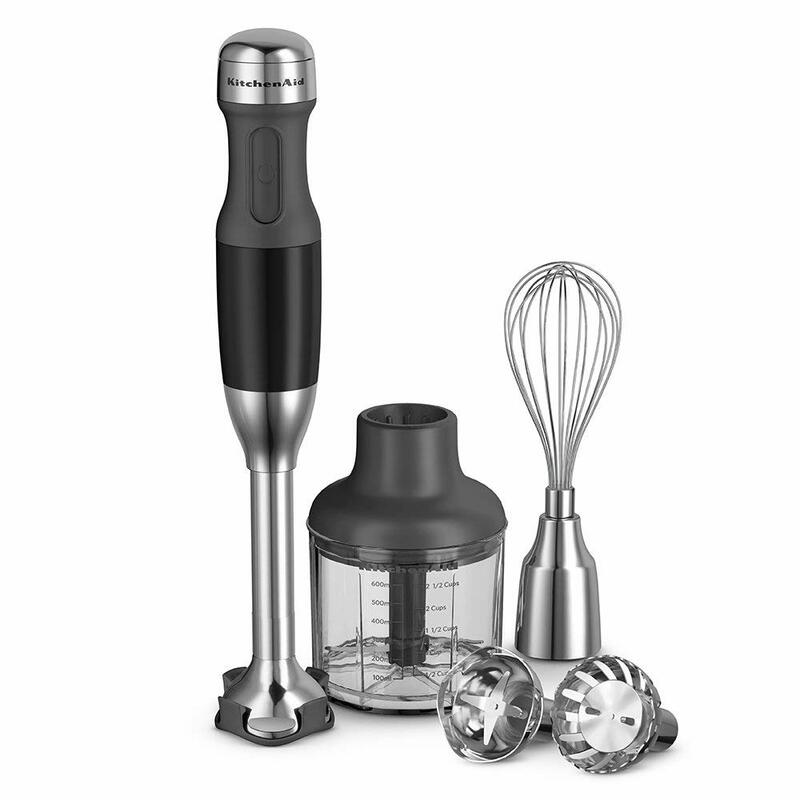 In our analysis of 69 expert reviews, the All-Clad All-Clad Stainless Steel Immersion Blender placed 7th when we looked at the top 10 products in the category. For the full ranking, see below. 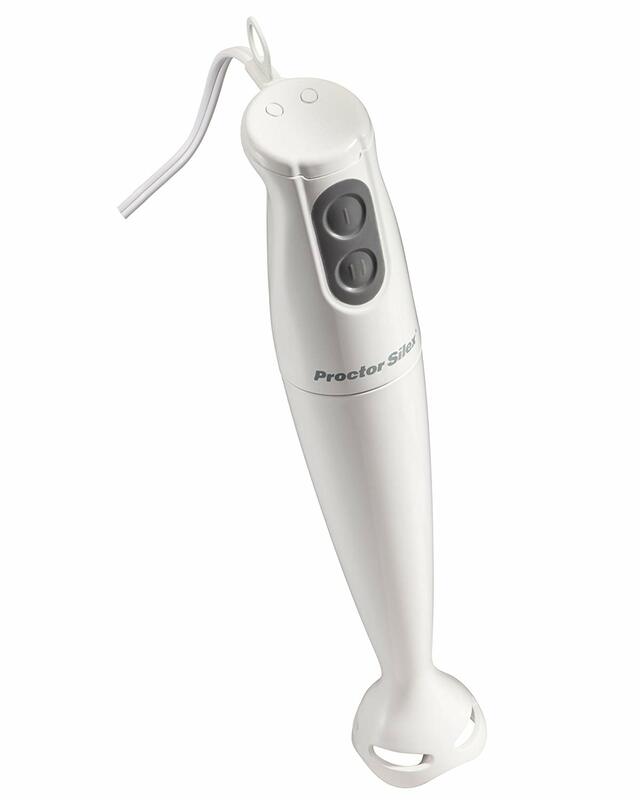 The All-Clad Immersion features a stainless steel shaft that you can detach from the device to make cleaning it a breeze. Extra long blending shaft for deep containers. There is a control dial to determine the speeds, and the settings include turbo and pulse control as well. The different speed variations help in dealing with different kinds of foods including smoothies, soups, baby food, etc. However, you will want to immediately clean the shaft after use to ensure that food doesn't clog the device. his model doesn’t come with any accessories—not even a cup—yet still costs around $100 at this writing. Twist to lock blending head not as good as snap lock of other Immersion brands offerings. One needs to be careful while using the plastic parts because if not handled with care, these parts will break after a short time. The All-Clad KZ750D42 handheld immersion blender is a great kitchen friend which will make fast work of everyday food-prep tasks. 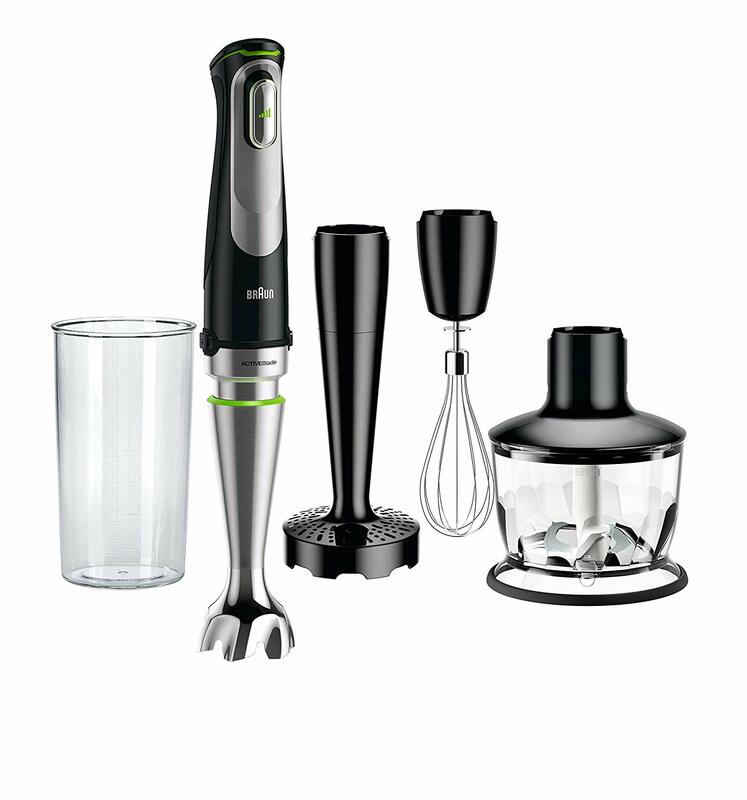 Use the versatile tool for blending smoothies, pureeing large batches of soup, making baby food, mixing cake batter, or whipping up homemade mayonnaise or salad dressings in seconds. It can even be used to quickly chop any type of nuts. 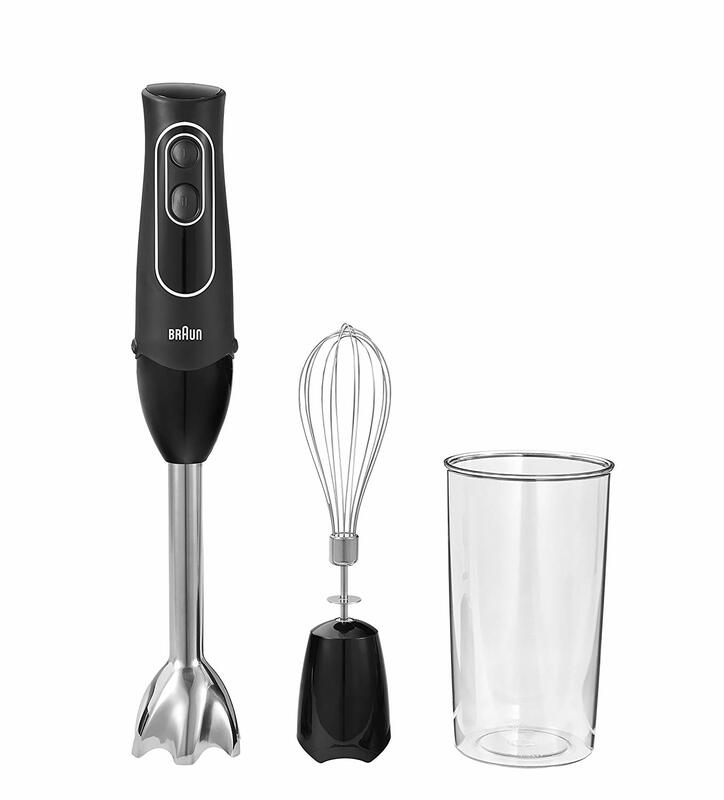 The immersion blender provides an easy-grip ergonomic handle, and simple thumb-activated control buttons for one-handed convenience and a beautiful design. You just have to choose between power and turbo settings, with pulse for added control. 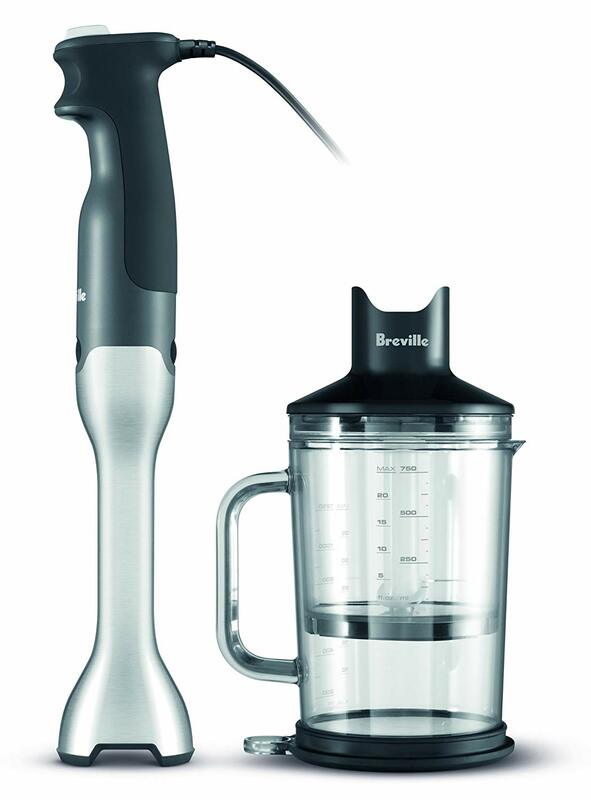 With its powerful motor and variable speed control dial, the blender takes on small and large batches alike. The immersion blender’s extra-long 9-1/4-inch shaft can reach deep into pots, pitchers, or bowls (no need to dirty extra dishes), and its protective stainless-steel guard around its stainless-steel blade helps prevent splattering. The shaft detaches from the handle for easy cleaning in the dishwasher and compact storage. 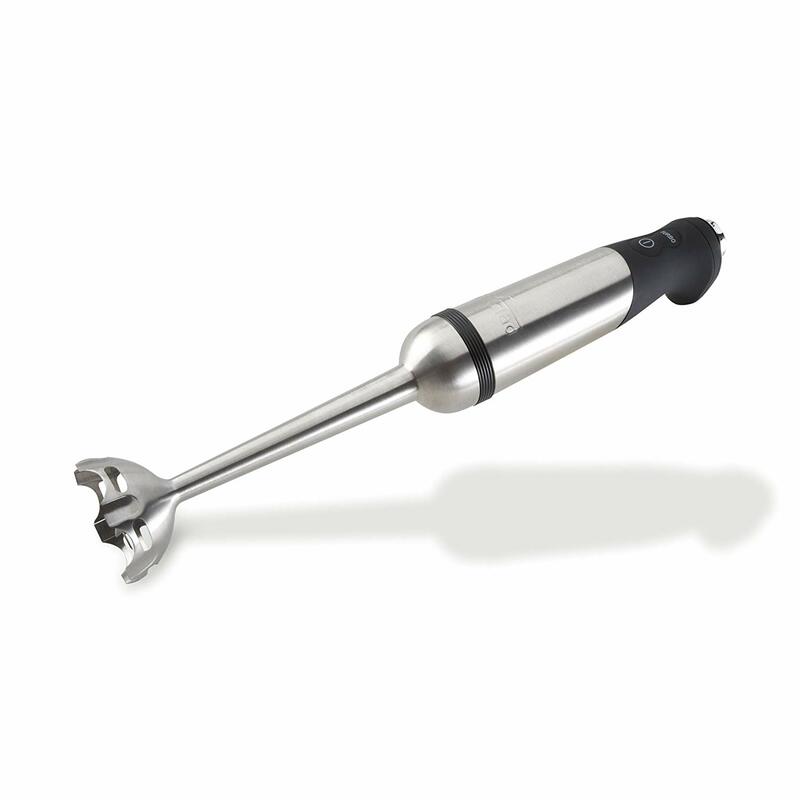 Get ready to have some fun with the All-Clad handheld immersion blender, press for only a few seconds and it's done!